The respondent (Messrs Islam Steel Mills Limited) along with Messrs Karnaphuli Cotton Mills Limited instituted money suits as were insured for their various goods with Janata Insurance Company Limited (the appellant) under different insurance policies. These policies were subject to mortgage clauses as the goods were under pledge to Janata Bank and United Commercial Bank Limited. Later all the goods insured, were totally gutted by fire due to electric short circuit and the respondent immediately informed the incidents to the fire brigade authority and the local police station. For ascertaining the loss the defendant (appellant) appointed two institutions and both the surveyors submitted report assessing the loss. Then, the plaintiff (respondent) laid their claim of money covered by the insurance policies but the appellant ignored their claim and contested the suits denying the claim, stating that there was no contract for insurance policies between them and therefore, they were not under any obligation to pay their claims covered by the policies. It was further asserted that the plaintiffs were not privy to the contracts of insurance and therefore, they had no locus standi to file the suits claiming moneys covered by the insurance policies and therefore, the report of the surveyors were not binding upon it unless the losses were covered by valid insurance policies. The learned subordinate judge considering the evidence decreed the suits with interest. The defendant thereupon unsuccessfully moved to the High Court Division and obtained leave on two points – (a) the bank being ‘insured’ having not claimed moneys, they were not liable to pay under the policies under Sec.46 of the Insurance Act, 1938; and (b) in the absence of privity of contract between the plaintiff and defendant inasmuch as, the insured goods were pleaded to the banks and thus under sec.135 of the Transfer of Property Act, 1872 the plaintiff had no right to sue against the defendant. 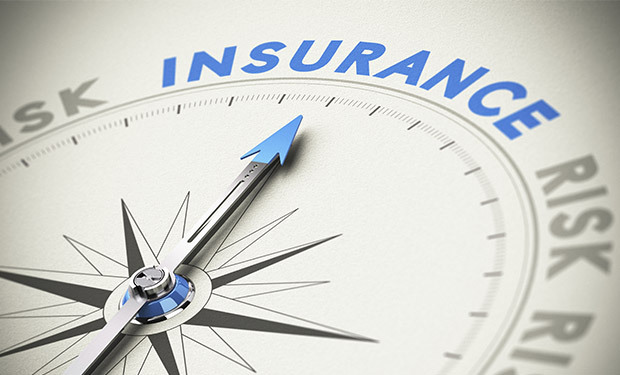 The appellant also argued that since the insurance policies having been taken out by the banks, the plaintiffs not being ‘insured’ have had right to lay their claims under the insurance policies. The High Court Division observed, under sec.46 of the Insurance Act, 1938it is difficult to accept that the plaintiff (respondent) have no locus standior right to sue, as they were not intended to be named as the insured in the policies and were named in all the policies and are quite competent to sue the defendent. There is no dispute that the respondent owned the goods in question which were insured with the appellant before they were gutted by fire. And they have right to claim moneys covered by the insurance policies since they were accepted in the similar status with the bank. Sec.2(13D) of the Insurance Act, 1938 clearly shows that they have been taken interest and benefit of the plaintiffs and therefore, they come with the category of ‘policy holder’ . Sec.46 enjoins the plaintiffs claim as of right to receive the money covered by the insurance policies and in case of refusal are legally entitled to get relief in respect of the policies through the process of the court. Here the Banks opened the policies on behalf of the plaintiffs and acted as an agent of the plaintiffs. Sec.226, 227 & 228 of the Contract Act lay down the law as to how far the principal is bound by the contract of the agent. The rule is that, a principal may sue on a contract made in the name of his agent. And an agent cannot sue on a contract entered into on behalf of his principal when the agent takes upon himself no liabilities. As the policies were owned by the plaintiffs and premiums were paid out of their accounts, and thus the plaintiffs being the beneficiaries of the policies are legally entitled to claim the moneys covered by the policies under sec.46 of the Insurance Act, 1938. None of the raised points are merited ones and therefore, these appeals are dismissed without any order as to costs. what are the leading points established through this case?